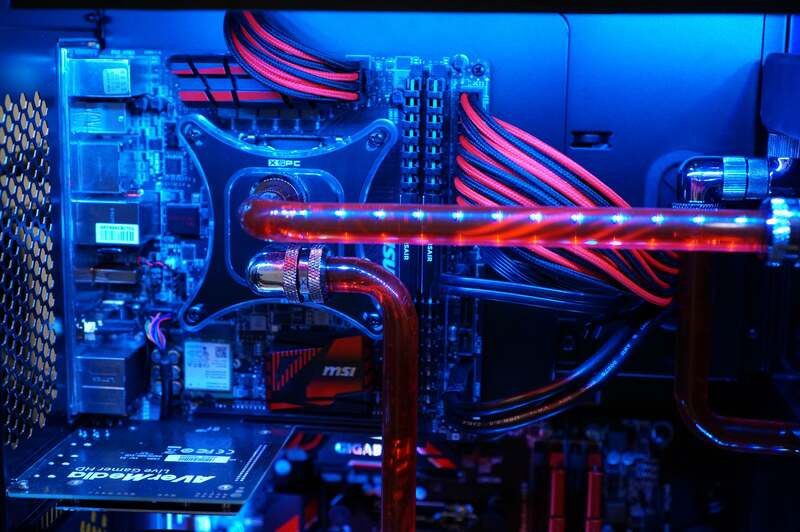 Pro streaming is officially a "thing" and CyberPower's new dual PC has what it takes to do it. If your day job is playing games in front of thousands of viewers over the Internet then having your stream crash means lost money—lots of it. 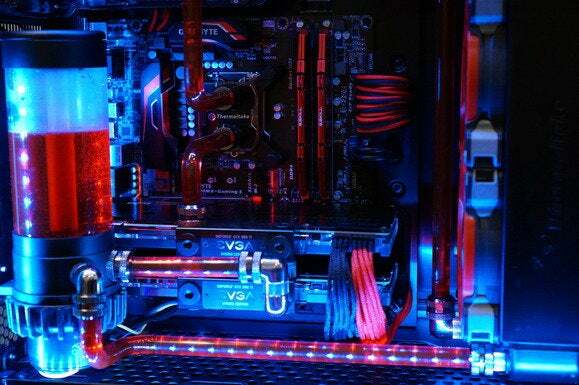 Enter CyberPower's Pro Streamer series, which combines two PCs in one. Call it a desktop "2-in-1" if you want. The lower half of this tower is a liquid-cooled rig with dual GeForce GTX 980 Ti cards in SLI and a Skylake quad-core chip. Up top, CyberPower has cleverly jammed in a second PC using a MiniITX motherboard and a second Skylake quad-core chip. It shares the bottom half's liquid cooling, and both run on the same power supply. Your game runs on the lower machine while the one up top encodes the game stream and your webcam feed, pushing it all to Twitch, YouTube, or whatever the new hotness is in real-time game streaming. CyberPower's Pro Streamer is a desktop "2-in-1." If this all sounds like an overly complicated setup that a single high-end gaming machine could handle, well, that's where CyberPower says you're wrong. With professional game streaming officially a thing, it's a lot to ask of even a high-end rig to run a game, encode it, and stream it—reliably. Sometimes, the company says, it's not that a single rig's hardware can't handle it, but software conflicts can result from doing so much at once, causing a crash, which means a dead stream. And when your stream goes dead, half your audience could go away—and not come back. With CyberPower's Pro Streamer, if you have to reboot or launch a new game on the gaming rig, the second PC continues to stream, and you can hold onto your audience with your witty banter or jumping jacks until the gaming resumes. 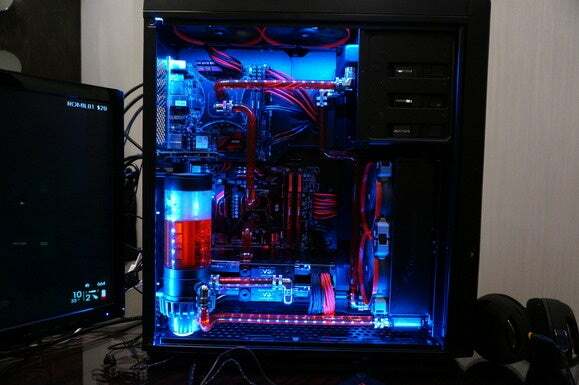 The MiniITX system sits above the Pro Streamer's "gaming" half. Pro streaming is serious business. If you have 1,000 concurrent viewers, you can probably quit your day job. If you have 20,000 or, say, 40,000 people watching you every day, you're probably tooling around in a Ferrari. That's why CyberPower thinks the Pro Streamer series has a market. 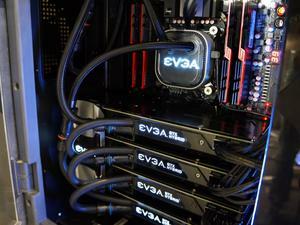 The price of the liquid-cooled Pro Streamer 200 is in the $3,000 range, which isn't bad for a box with two full PCs and dual GPUs. CyberPower says the machines come pre-configured with the streaming software, minimizing the hassle for someone who wants to unbox it, plug in the monitors and webcam, and give up their job as a barista or technology reporter.